I think it must be it’s tortured dark soul masked by it’s beautiful facades. Maybe I’m one of those delusional girls who are attracted to those with a broken past but have managed to rise up from the ashes (like a phoenix). We only spent 2 days there but I’ve fallen in love. Who knows why I love this place, but I do. That’s a lie, I like this place for its beautiful buildings and great sunny weather. Before listing down all everything awesome about this place, it’s useful to know that Budapest is made up of two parts, Buda and Pest. They are separated by the Danube river that flows all the way to Bratislava. Right, so here are a few things we discovered in Budapest, and loved. 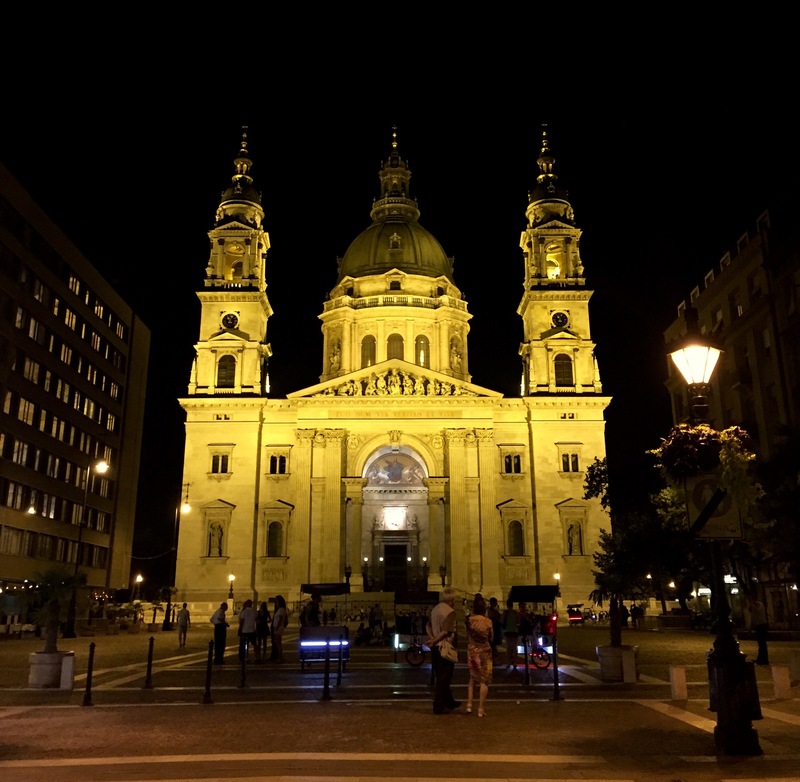 Visit the pretty buildings – This includes the Hungarian House of Parliament, St Stephen’s Basilica, St Matthias’ Church (probably the most mind-blowing one I’ve seen thus far) and the Fisherman’s Bastion (next to the church) with great views of Pest (the hipster-er and cheaper part of the city). St Mathias’ Church- Look at that roof! Probably the friendliest walking tour group ever. We had lunch with Ludwig (tall guy behind), Jack (the other one) and two other girls from London who had to rush off to catch a flight. 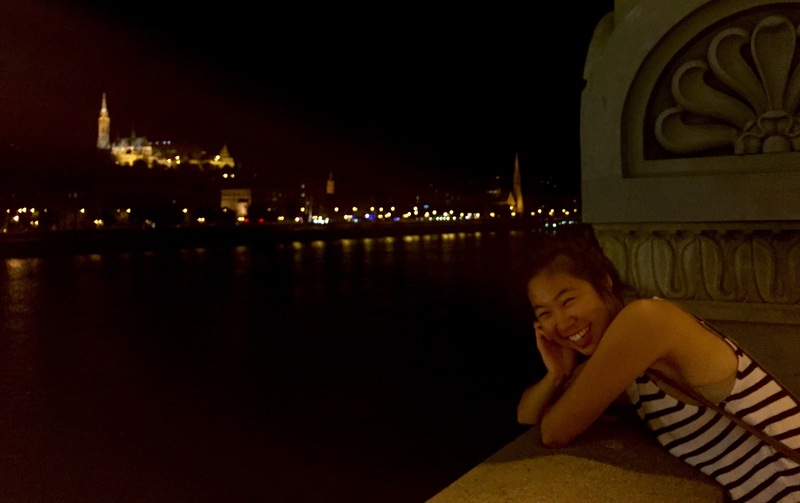 Visit the pretty buildings at night – I think the night time really highlights the beauty of Budapest. We even strolled along the river (Pest side of course) at night when it was cooler and breezier, and found quite a few bars sprinkled along the river. Obviously, the one thing you simply cannot miss at night is the Chain Bridge. The view of the bridge itself is amazing but stand at the midpoint of the bridge and your heart will skip a beat – the views of both Buda and Pest are stunning. Gellert Hill, Liberty Statue and the Citadel – We walked up from 11.30am, in the unforgiving heat. It took about an hour of walking and half an hour of complaining to reach the top. Was it worth it? I think so but I would have preferred to go up either really early in the morning to catch the sunrise or in the evening to catch the sunset. 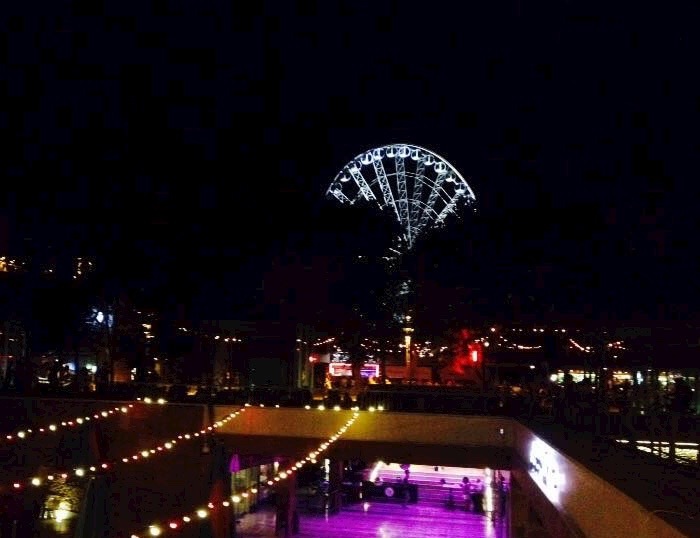 Elizabeth Square – The only place where you can legally drink outdoors. I would get a beer in the supermarket around the corner (with some snacks, or just skip the beer and get ice cream :D) and head over to the square. There’s usually some sort of street performance that provides just the right amount of background music, creating a lovely atmosphere. Instant (pronounced as Inshhhhtant) – An “enchanted forest with horny animals” themed club in an old ruined building, it’s supposed to be the best of it’s kind. Ruin pubs are a growing scene in Budapest and they seem pretty dope y’all. I’m sooooooo down with the kids these days. Frici Papa – Cheap, awesome and authentic. Great food with WiFi. What more can I say? OH, try their Goulash, it’s nothing short of awesome. Wash it down with some local beer (ask the waiter what that might be because I can’t remember) and embrace that feeling of pure bliss. Kis Parázs 2.0 – A Thai place just a few doors away from Frici Papa. I was craving asian food and this place hit the spot for me. Their Tom Yam was spicy and sour enough and thinking about it now makes me want to have more. Oh my goodness I can taste it in my mouth, holy cow. Be warned it’s definitely more expensive than regular Hungarian food, for obvious reasons. Gozsdu Udvar – A long stretch of restaurants, pubs and cafes. This place is buzzing with people and music and good food. We walked along this street twice but never got anything to eat because it seemed a little pricey. Definitely a good place to splurge if you’re up for that. However, do avoid buying food from the city’s central market. Most of the prices were jacked up, despite what it said on the signs. Do not be fooled by the good smells and the juicy looking chicken, it’s not what it seems, really. Till next time you beautiful son of a gun.